There are a several items I have to have in my pantry… or else it’s time to make a grocery store run. If you watched any cooking competition, then you know many a contestant has lost out due to lack of seasoning. Therefore, my two essential pantry ingredients are salt and pepper. I prefer Celtic Sea Salt and ground pepper blend. They both have a permanent spot next to my stove so they are always within reach. My next two most important pantry items are oil and vinegar, which I also use in almost every meal I prepare. I stock my shelves with a variety of both. My oils of choice are avocado, coconut and olive oil. And I keep a coconut oil spray to use when roasting vegetables. The vinegars I use most are red wine, coconut and apple cider vinegar. I use the first two in my cooking, and usually the cider vinegar in my baking. Then I must have an assortment of gluten-free grains and legumes on hand. I always have a bag (or bags) of quinoa, rice and gluten-free pasta around. Each has a different cooking time, so it’s easier for me to plan what I’m making based on how much time I have. 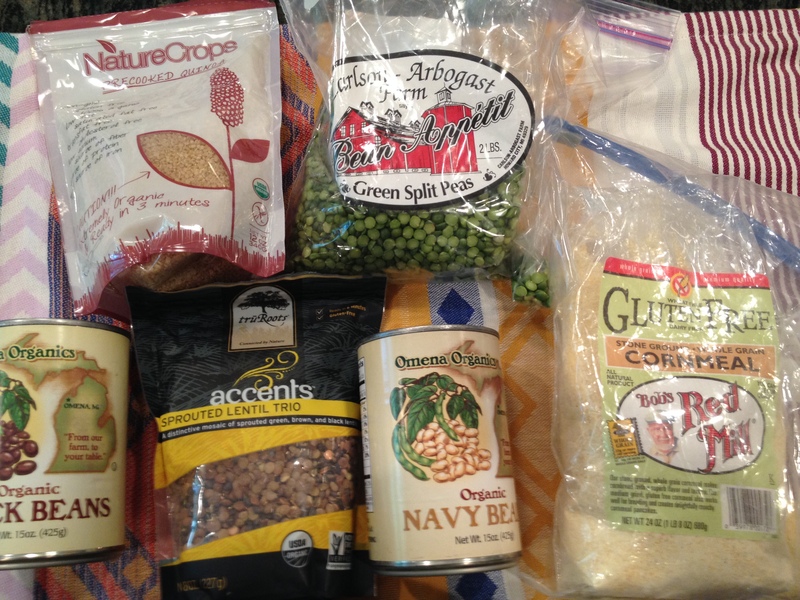 Likewise, I keep bags of dry lentils and split peas, which can take up to an hour to cook, and various varieties of canned beans that heat up in only a few minutes in my pantry. 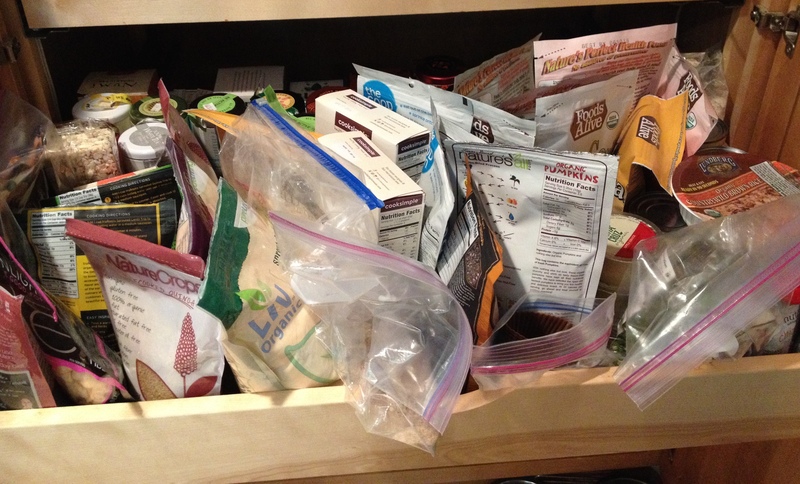 In addition, I store a few different kinds of gluten-free pasta in my kitchen cabinets. 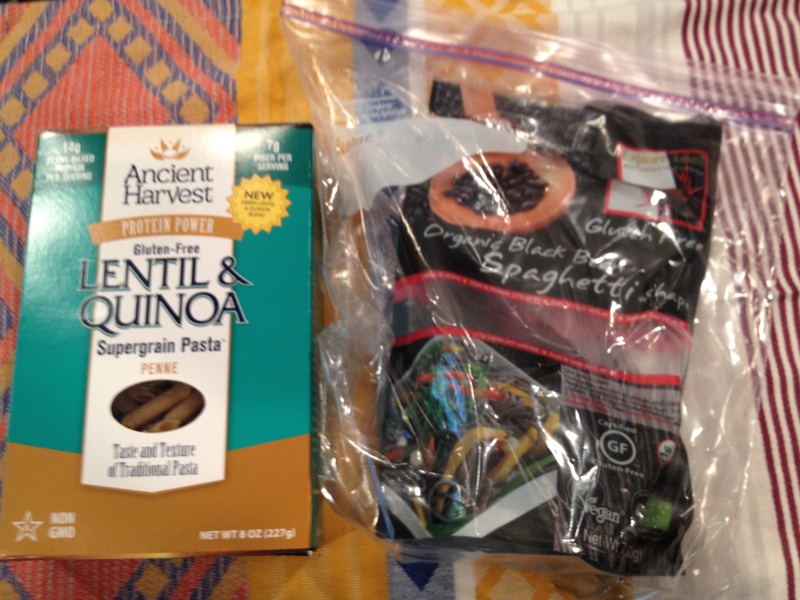 My current pantry pastas are Ancient Harvest Green Lentil and Quinoa Penne and Explore Asia Black Bean Spaghetti. 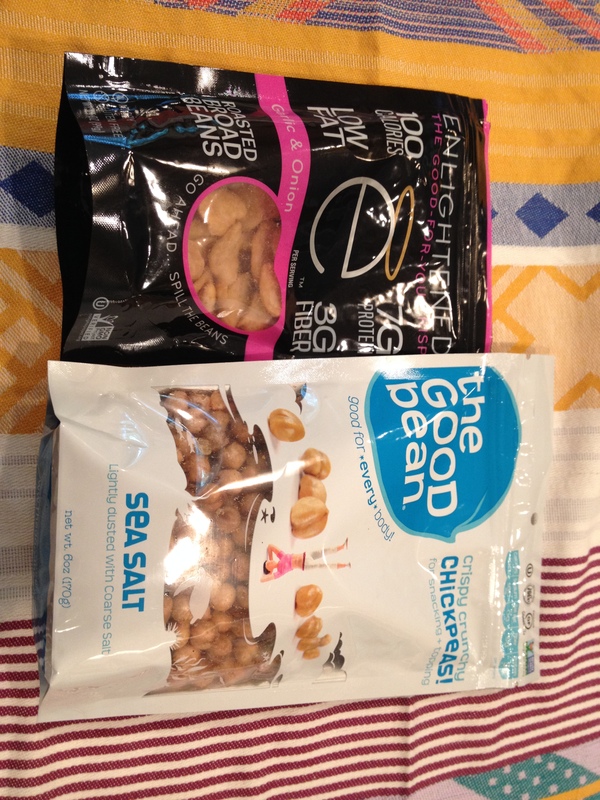 Both are high in protein, and hold up better, in my opinion, to rice or corn pastas. I use the black bean spaghetti in Asian and Mexican dishes, and the lentil and quinoa penne with marinara or other Italian sauces. For cooking and baking, I keep multiple bags PureLiving Sprouted flours on hand, as well as Zema’s Madhouse Foods Peruvian Sweet Potato and Multigrain Pancake and Waffle mixes. I also have Bob’s Red Mill cornmeal, which I use to make polenta, top casseroles and to “bread” things like eggplant. My spice pantry is always well-stocked. With very few exceptions, I only use Spicely Organics spices and herbs since they are all certified gluten-free. If I had to choose my must-have spices, I’d go with paprika (I’m Hungarian, ok? ), cumin, cinnamon, turmeric, ginger, coriander and nutmeg. Herbs I used most are oregano, marjoram, basil and thyme. I also keep an Italian seasoning blend, and curry and chili powder. I can make hundreds of meals with just those spices and herbs. Other miscellaneous items I keep in my pantry are canned pumpkin and applesauce for egg replacements in baking. Nutritional yeast, which adds a “cheesy” flavor to foods, chia seeds, which has a variety of usages, and bags of roasted and seasoned beans that I either snack on or add to salads for a quick protein. There are also a lot of other snack foods, including Foods Alive Flax Crackers, Lundberg Red Rice and Quinoa Thin Stackers and Myrna’s Skinny Crisps, for when I need something to nibble on. Stayed tuned for a full post on my favorite snacks down the road.